Utah, while possibly most well-known for its snow, boasts more geographic diversity per square acre than potentially anywhere else in the country. From sweeping high desert ranges to 13,000 foot peaks, to steep-walled canyons, the landscape can change drastically within as little as a one to two hour drive. One such overlooked place is Antelope Island. 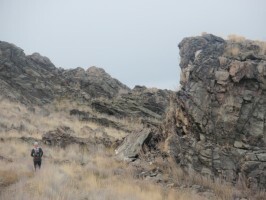 Connected to the mainland by only a man-made causeway, this true island on the east side of the Great Salt Lake hosts such a unique landscape that any tourist or trail runner would, at times, think they were on the surface of the moon. The beautiful, yet stark landscape is home to several diverse animals, including Bison, Antelope, Mule Deer, Porcupine, Foxes and more. 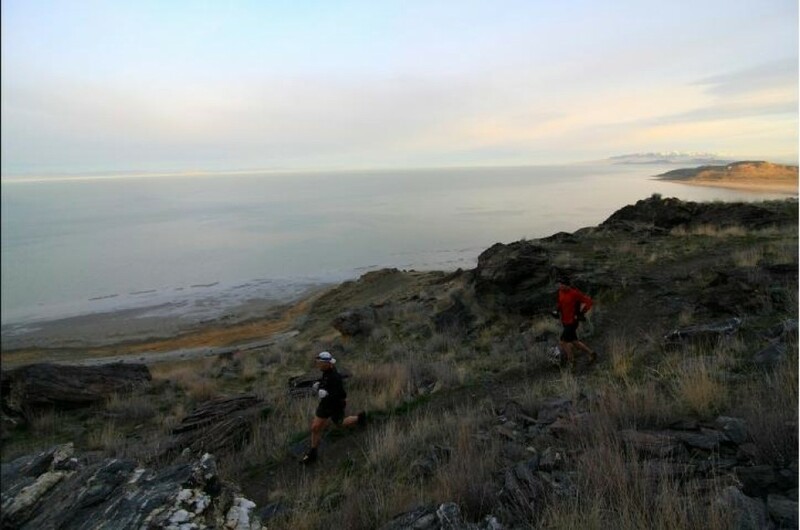 It is on this eerily beautiful island where a brilliant trail ultramarathon is held each Fall, the Antelope Island 50k/100k. Race Director, Jim Skaggs, brings more than ten years of trail and ultra-running experience to the plate when organizing his events on the island. When asked what he sought for when creating his race series on Antelope Island he responded by saying, “I try to incorporate the best aspects of all the different trail and ultra races I’ve run over the years. 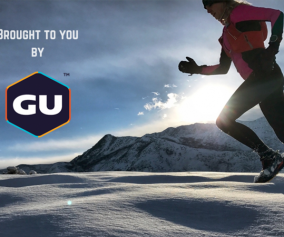 I make a real effort to make my races ‘runner friendly’ and to showcase someplace very unique to Utah”. Anyone who has run any of his races will agree that he succeeds in all of these areas. This coming weekend will be the third year of his fall race events, the Antelope Island 50k and 100k. 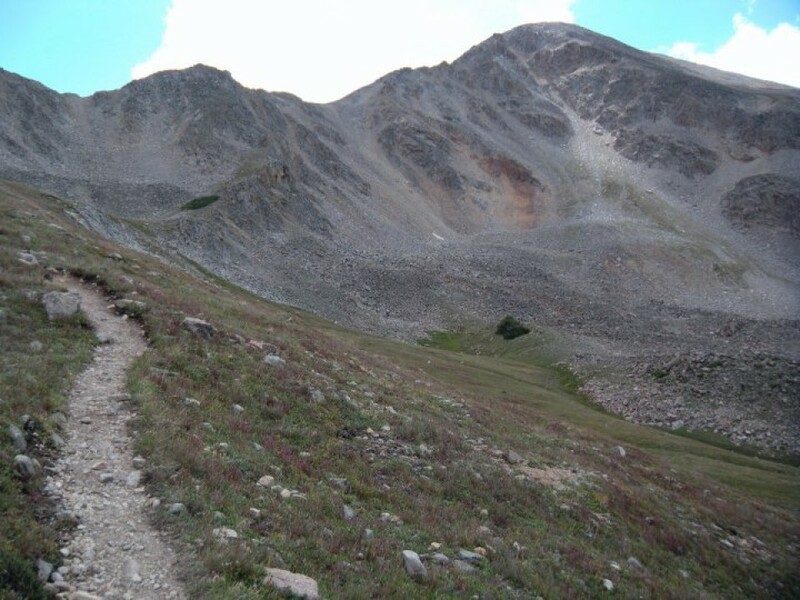 The two races, run on the single 50k route (the 100k doing two loops) differ slightly from his spring races, the Buffalo Run 25k/50k/50mile/100mile. The course varies in that at mile 8 it turns to the south and heads onto a part of the island rarely, if ever, seen by runners or tourists due to mating and birthing grounds for many of the local species. The changes make for a very natural loop, incorporating very runnable elevation changes with views in all directions. 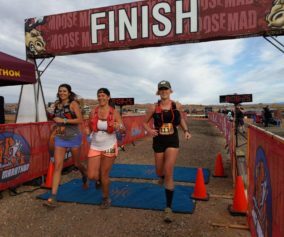 Runners will likely see many, if not all, of the animals listed above and witness varying landscape from the monumental peaks of the northern Wasatch Range to the oceanic expanses of the Great Salt Lake. 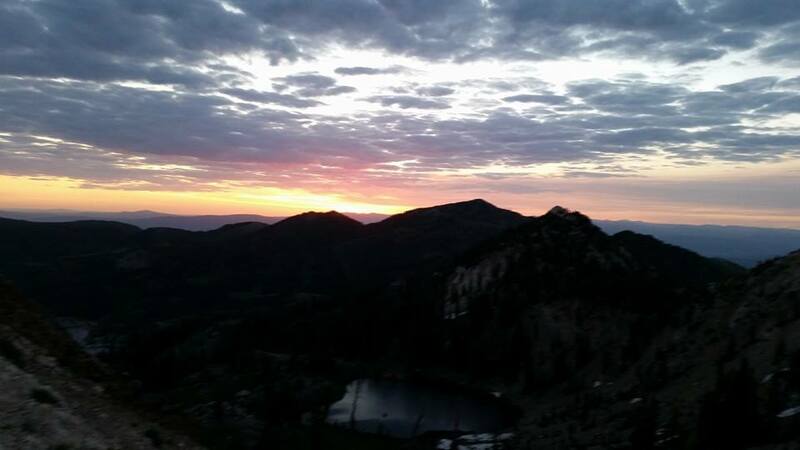 What makes the Antelope Island 50k/100k so unique is not just the location, but also the attitude towards which Skaggs organizes the event. 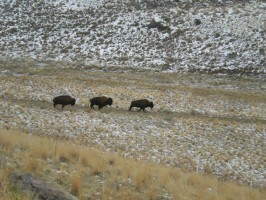 On the event website he mentions that participants will get to ‘run where the buffalo roam’. This is no metaphor, but more often than not, a literal statement. Along with that Skaggs does not offer finisher medals, but instead provides race specific finisher mugs. He believes in the idea of providing something useful to the runners instead of just something shiny. But he doesn’t stop there. Skaggs actually offers vegetarian and buffalo chili to all of its finishers and their families (at a very small extra cost to additional family members), including drinks. Having been involved with this and/or his spring race for a few years now as either a racer, pacer, or spectator, I can attest to what makes this race most unique is the attitude of Skaggs himself and his volunteers. Skaggs can be seen throughout the entirety of the race wearing his buffalo hat (a baseball cap with a stuffed buffalo head on the front), talking with participants and spectators. He always finds time for a congratulatory word, even if he’s rushed, which seems to be the life of a race director. 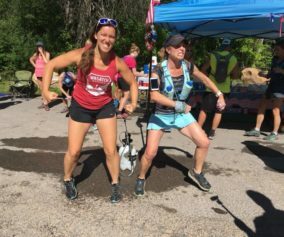 The volunteers at the aid stations are energetic and extremely helpful and are willing to do whatever it takes to help make your race successful. Be aware though, if you come to run one of his races be ready to be a responsible runner. Skaggs has been involved with the Antelope Island park service for over 8 years now and is very proud of the island, the park service, and the wildlife inhabitants. His strict ‘no trash’ policy is heavily enforced and he expects all of his racers to be responsible and carry all of their trash to the next aid station where it can be disposed of properly. But don’t let that worry you, no matter which race you choose to run it will be memorable and successful. So while it may be a little too late to plan a race for this weekend, be sure sign up for his spring race at the end of March, 2013. You won’t regret it. I always sign up for or volunteer at Jim’s races. His events are laid back and fun, and the courses are always challenging and beautiful. To prepare for the Spring race, he usually organizes training runs on the island, which is such a great place to trail run in the winter. I highly recommend it. Cool, sounds like a great bunch of races, I will have to see about next year. Thanks for the review, these are very helpful as really how do you know, just based on a website. Have a wonderful day, Adam. One of the best races (race series) in the state. Incredible landscapes, surrounded by the Great Salt Lake–my first ultra a number of years ago (and every year since). 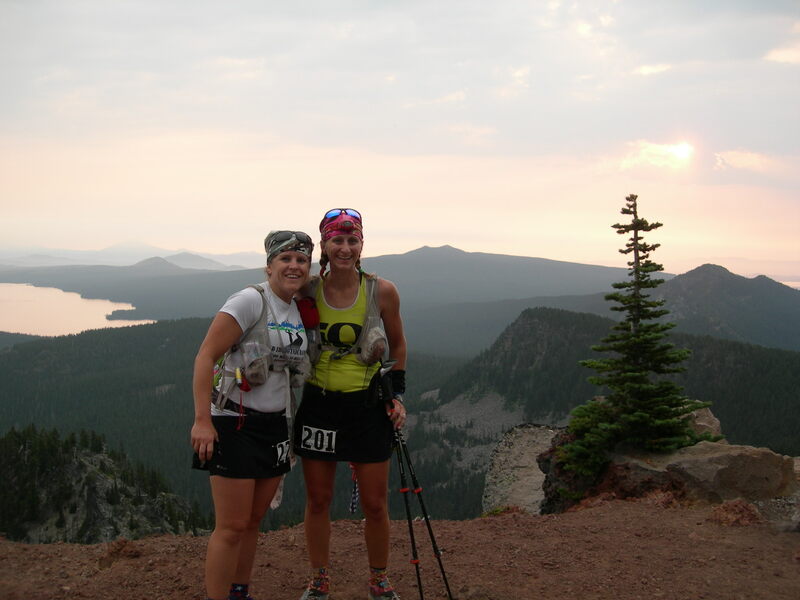 I’ll never forget the scene of the full (orange) moon setting on the GSL early that morning, running down the valley past Elephant Head aid station–sureal! PS Nice job Craig, not only on the write-up, but you ran one hell of a race out there this year. I ran the 100K in 2011 as my first at that distance. Jim makes this experience enjoyable and a real down home experience. 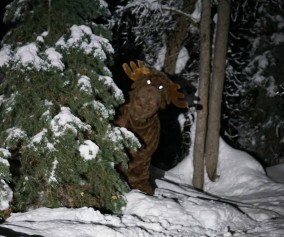 I’m contemplating the 100 mile Buffalo Run this upcoming spring. The aura and surrounding presence on the island is something very scerene. I think this is a great place to run and Jim has done a super job organizing these races!